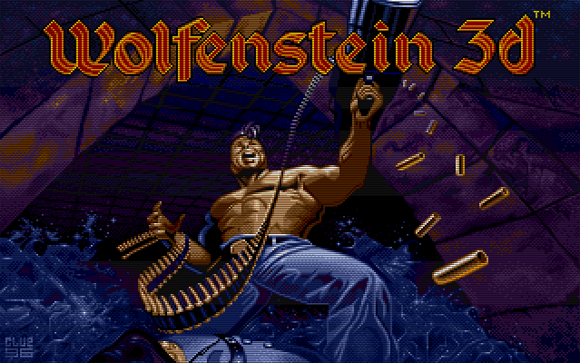 At ↑Tom Hall’s weblog I ↑read that Bethesda has celebrated the 20th birthday of ‘Wolfenstein 3D’ (id Software 1992) by putting it online as a free browser game. But when I clicked ↑the link I got a 404—it ain’t here anymore. Either Bethesda has taken it offline again, or the fabulous German banning mechanisms kicked in. I am too lazy to go via proxy, especially because there’s another solution. At Virtual Apple you can ↑play that milestone of computer game history via an Apple ][ emulation. ID SOFTWARE. 1992. Wolfenstein 3-D [computer game]. Mesquite et al. : id Software et al. Yes what have you toughten? If se government allows Wolfenstein, there could everybody coming! rofl. You, Sir, are absolutely right, of course. Btw, they ↑revoked the ban on ‘Doom’ … in August 2011.